One of the most often repeated courses in U.S. high schools is algebra. Teachers and school leaders understandably worry whether a student who can’t solve basic equations should move on in math, to geometry or advanced algebra. So the student takes algebra again. Sometimes, even students with B’s in algebra are asked to repeat it because their teachers are concerned that they haven’t mastered the material. Unfortunately, a growing body of research is showing that when you march a teenager through the same algebra class again, it doesn’t help much. And this is part of an overall picture of students repeating classes or an entire year of school without good results. Without addressing a child’s underlying learning issues or missing foundations, repetition alone is rarely effective and sometimes harmful. A new California study, conducted for the U.S. Department of Education, reinforces this. It found that students who had gotten at least a C in the course the first time around, and had passed the state algebra assessment, were harmed by taking the course a second time. Both their grades and test scores declined. Lower performing students improved somewhat — for example, students who had gotten an F the first year typically got a D the second year — but very few of them mastered the material. More than 80 percent of the repeaters still scored below the “proficient” threshold on the state algebra test. Fong and his WestEd colleagues studied a northern California school district in the San Jose area with an alarmingly high rate of algebra repeaters — 44 percent of the students are taking algebra twice. The East Side Union High School District serves almost 25,000 students. The researchers studied a group of 3,400 students who started seventh grade in 2006 and followed them through graduation from high school. Most of the students repeated algebra in 10th grade after doing poorly in algebra in ninth grade. But many of the students originally took algebra in eighth grade and repeated it in ninth. Among the higher performing students (C or better) who repeated, half saw their scores on the algebra state assessment fall by an entire performance level from “proficient” to “basic”. Fong’s data analysis doesn’t explain why the higher performing students do worse the second time around, but he suspects that these students were demoralized by being held back in math and lost their motivation. You might question why teachers are holding kids back in algebra if their grades are decent. It’s a bit of a mystery. In informal conversations, Fong learned that teachers were concerned that some students with passing grades weren’t ready to move on. For example, some teachers give high grades to students who try hard and hand their homework in even if their calculations are consistently wrong. Also, the California State Test scores were often not available until the end of summer or after school started and couldn’t be used by teachers to help them make placement decisions. The purpose of the study is to provide guidance to schools on whether students should repeat algebra. “If you have a kid who’s on the borderline of repeating algebra or moving on, if you’re in doubt, it seems like it’s better to move on,” said Fong. As for the majority of struggling math students, Fong said this study doesn’t definitively conclude whether students should or shouldn’t take algebra again. They tend to improve slightly, but not as much as might be hoped. 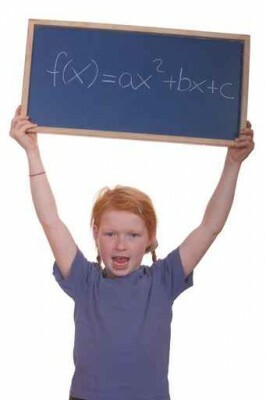 This study confirms an earlier 2012 California study that struggling students aren’t mastering algebra by repeating it. That study looked at only ninth graders across 24 school districts in California, but also found that students who took algebra a second time were unlikely to score “proficient” on the state exam following the second attempt. The problem is, what do you do with the student who struggles with algebra? Simply promoting a student who has failed algebra I to algebra II seems silly, too. One promising algebra intervention, studied in Chicago, was a double dose of algebra each day. Unfortunately, there aren’t that many classes like this available for struggling students across the country. Perhaps there are clues from the research on retention and social promotion — educators’ labels for holding a student back a year or promoting a failing student to the next grade. Many researchers have found harm in holding a child back. But in Chicago and New York City, experiments in repeating school years have been successful when accompanied by extra tutoring and support programs.